This morning the fashion masses gathered outside of H&M stores across London. 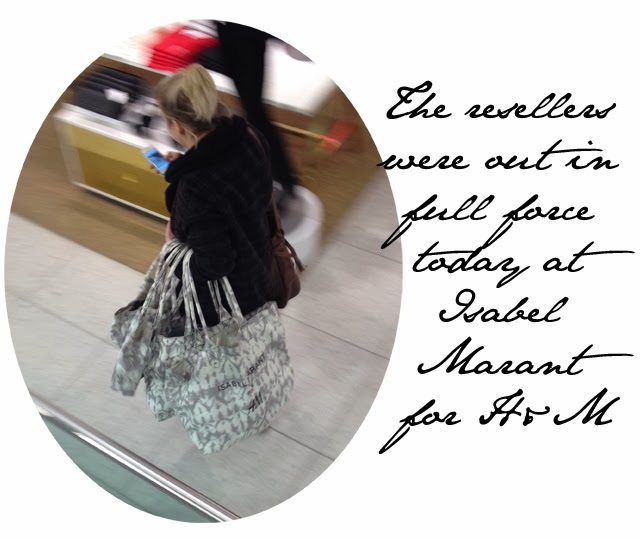 Queues stretched around entire city blocks with women wrapped in dozens of layers in an attempt to stay warm hours before doors would open for the Isabel Marant for H&M launch. Surprisingly, the lines were not as bad as some of the past collaboration openings. The audience waiting outside the H&M stores seemed to be an older, curated crowd. There seemed to be no pushing or shoving, but rather orderly patience. For anyone that has shopped an H&M collaboration sale before, you know this is not always the case. We visited three central locations in London to compare and contrast audiences and they all seemed to be relatively tame. This time around, even shopping inside the store had been given a revamp. Customers were made to queue and wait for their turn to enter the space, in small groups, to select from merchandise and go. Even with orderly shopping, after asking each store about the highlight pieces, it seems that it only took 30 minutes on average for the collection to disappear. Pretty amazing. Now, what was interesting about the shopping patterns displayed this morning was the way in which women seemed to approach the sale. There appeared to be three types of shoppers. First, we had the personal shopper. This was the woman who was stepping into the store to grab for her own closet. She had a size in mind and styles she wanted. She grabbed what was there, in that set, or just left if there were no remaining pieces on her wish list. Second, we have the hoarder. This was the woman that went in and grabbed whatever she could find that would remotely fit. She squeezed into sweaters guesstimated on jean sizes, then made her way to the cash register with arms full of clothes. Finally, we had the reseller. Hopefully, you all read Refinery 29's piece yesterday on the collaboration reseller. If you haven't, give it a read. 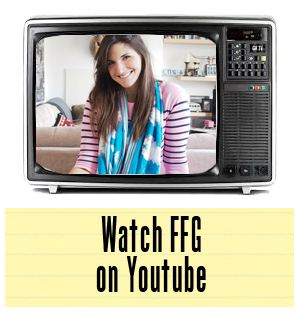 They actually interviewed a woman who makes a living from reselling on eBay. Looking back on the Versace for H&M collaboration, we remember seeing loads of these women in action on the store floor. This is the lady or gentleman that has done their research beforehand on what the most popular pieces from the collection will be. They're usually the first in line and the first to leave with ten bags hanging from their arms. Plenty of these were spotted as we watched the oversized sweaters and blazers fly off the shelves. How do you spot these guys? Well, they're usually the ones buying things in twelve different sizes. Unless they have some crazy diet plan ahead, or 12 kids that all wear a different size, these items are all headed straight to eBay. So I suppose at this point you're wondering what we bought? Well, we didn't enter any queues. We were there to watch mostly. However, on our last stop we decided to pop up to the men's department - where there was NO ONE shopping - and found some great men's jeans that are classic Isabel Marant. Nearly everything was still there (except the sweaters). Our advice is to head for the men's departments if you're hoping to grab a bargain at lunchtime. There are some great pieces there that work was as oversized material for women. Happy shopping to all today and hope you manage to grab a piece of high street history.